I can’t believe I have to even write this, but the Pride flag is not the same as the Confederate flag, despite what Fox News guest Star Parker would have you believe. And so in case anyone steps up to you repeating that same ridiculousness, we’ve listed several explanations below of how the two flags are completely different. Her equating the two flags as sending a message “That certain people groups are not welcome here,” is pure bunk. The confederate flag (as we will explain) is a racist emblem of white supremacists who want to rule over black people — it is a flag of prejudice and intolerance. The rainbow flag is a queer emblem of LGBTQ people who want the same rights as everyone else — it is a flag of acceptance and tolerance. Parker would probably say that the rainbow flag is meant to exclude those who object to LGBTQ people, much the same way that the American flag is meant to exclude those who want to destroy America. Flags operate as political symbols that represent the presence and ideology of an entire group. By necessity they exclude those who oppose that group’s existence. So Parker is correct, but only because all flags work that way. In short, the rainbow flag doesn’t tolerate intolerance because, to summarize philosopher Karl Popper, when we extend tolerance to those who are openly intolerant — people like anti-LGBT bigots and white supremacists — the tolerant ones end up being destroyed and tolerance along with them. 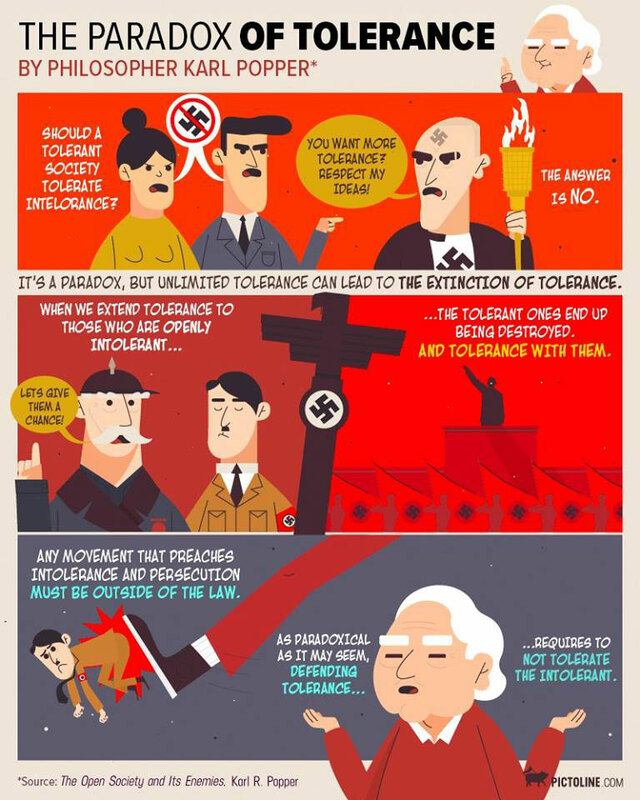 As paradoxical as it may seem, defending tolerance requires not tolerating the intolerant. If the LGBTQ community welcomes people who are anti-LGBTQ, the LGBTQ community will cease to exist because it will be undermined from the inside out. 1. The LGBTQ community didn’t try to secede from the United States nor did it fight a war for the enslavement of an entire race. While LGBTQ activists have criticized the U.S. for having anti-LGBTQ laws and culture, never have queer activists tried to rebel or claim their own nation separate from the U.S..
2. The LGBTQ community doesn’t have a long and well-documented history of deliberately harming and killing people just for being different. Though some Confederate flag supporters have claimed that their love of the flag is about “heritage, not hate,” it can’t shake the flag’s history as a banner for the right to own slaves. 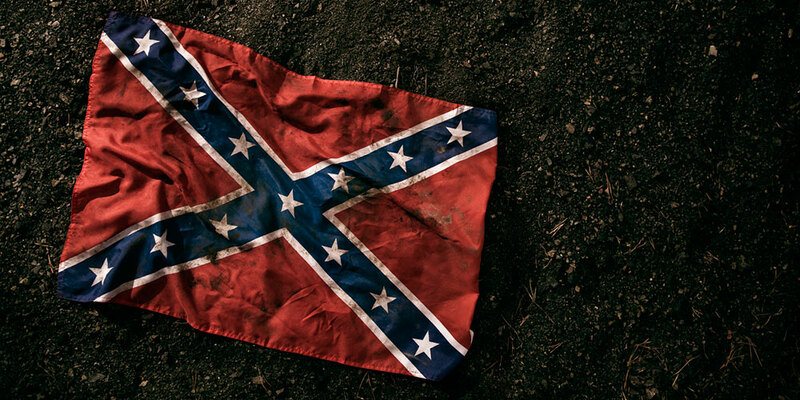 The flag has been carried ever since the Civil War as a way to denote white supremacy. And white supremacists have a long and well-documented history of killing and terrorizing black citizens. Meanwhile, the LGBTQ community has no such history — murder isn’t part of our political strategy. Occasional LGBTQ activists may harass or threaten violence against anti-LGBTQ people, but mainstream LGBTQ activists repudiate such violent threats. On the contrary, the LGBTQ community has been subjected to more threats and violence than it ever has inflicted on anyone. 3. The Pride flag was not created as a way to proclaim superiority over another group. 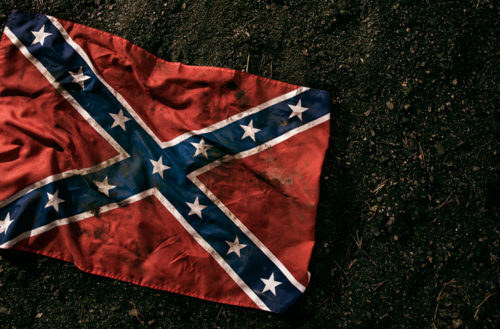 As The Washington Post pointed out, “The Confederate flag largely disappeared after the Civil War. The fight against civil rights brought it back.” And guess who brought it back? Southern white supremacists who opposed Civil Rights-era legislation meant to integrate blacks into white schools and neighborhoods. A gay man invented the rainbow flag as a way to create solidarity and visibility for the LGBTQ community. The flag was a plea for acceptance and tolerance. It was never about silencing or terrorizing anyone. If the image of a rainbow flag strikes fear in people’s hearts, perhaps it’s because they understand that they live in a world that increasingly rejects discrimination based on sexual orientation and gender identity.